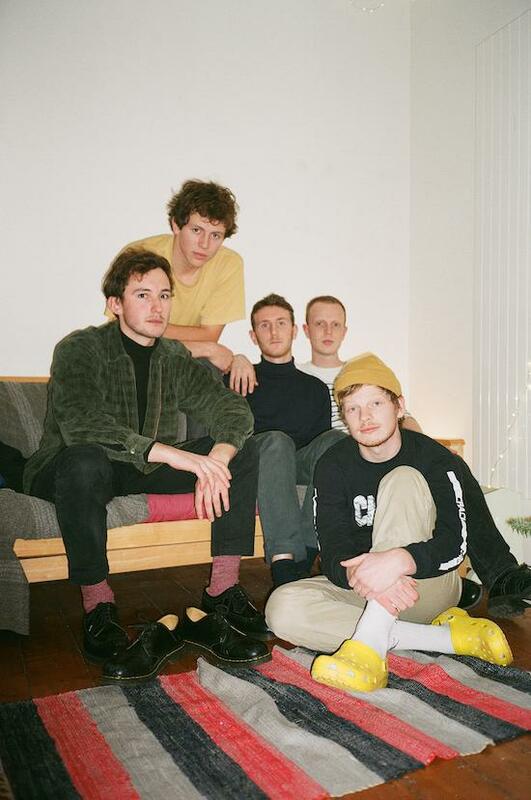 Brighton/London five-piece Squid have shared a new single titled 'Houseplants', produced by Speedy Wunderground label head Dan Carey. You can hear the track above via the embed which features visuals from artist Raissa Pardini. 'Houseplants', Ollie Judge from the band explains, is about "being able to afford a house and not having to have beans on toast for the week leading up to payday. Pessimistically, I don't see that future happening, but I still catch myself every now and again thinking it could." The band describe the track, and much of their material, as "fast and furious." The track is out today via Practise Music, and Squid have a number of UK shows lined up in the coming months. You can check their current list of dates here.